Overall, it is an excellent book. 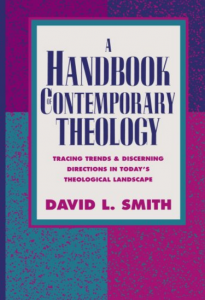 Though a textbook, it is easily readable by anyone interested in the subject and is a good companion to the Handbook of Denominations by Mead and Hill. The book covers everything from fundamentalism to Neo-orthodoxy to Liberation Theology to Creation Spirituality. It even covers the founding of the BBF (which Mead and Hill do poorly). Smith goes to great lengths to describe each denomination, movement, sect or cult fairly, without bias or prejudice. If I have a criticism of the book, it is that Smith is sometimes too generous in his commendations and too lax in his condemnations. Overall, I highly recommend the book.